The Most Trusted Name in Security, Concierge, and Risk Management since 1981. Founded in 1981, we rank high amongst the most experienced and established security, concierge, and risk management firms in all of Southern Ontario. Most clients expect uncompromising attention to detail and superior service, and that’s where we step in. Instead of just keeping up and adapting to changes in the industry, we are the reason behind why changes occur by setting new and improved standards. We have a client satisfaction process that is second-to-none. It ensures we always maintain our focus: to provide our clients with peace of mind when it comes to service and security. Find out more about how we can help you achieve peace of mind and exceed your expectations for service and security. Our security services consist of highly trained professionals with the experience and expertise to aid you in every possible situation. The core values of our firm and our modality of service are based on the basic premise of trust earned as a result of security, and that security can only be fostered in deeds and actions which are exemplars of integrity. 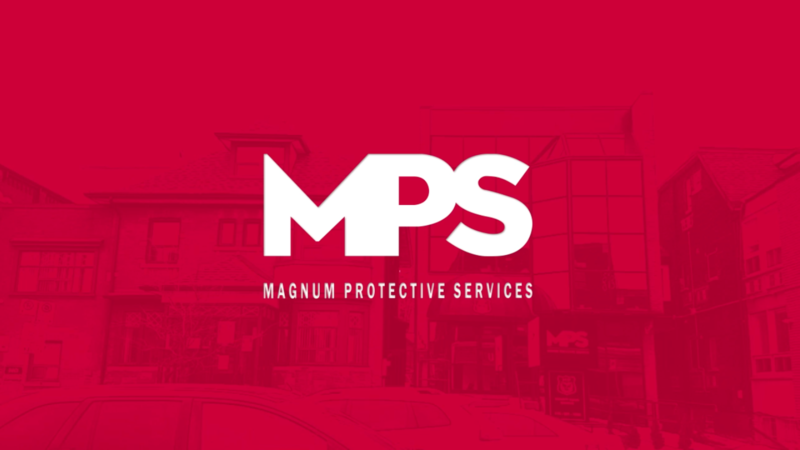 From the very humble beginnings, Magnum’s presence as a security and support provider has been and continues to be there. MPS Concierge Services are available and flexible to handle emergencies. Our live dispatch centre is available 24/7 and located in the Greater Toronto Area. Call us and have your very own security concierge at your home, office or event to protect and assist you or your guests in a dignified manner. Our Protective Services utilize state-of-the-art patrol tracking technology to deliver unparalleled levels of quality assured security and customer service. Our retail security guards will monitor your business to ensure a safe environment that keeps employees honest, attracts customers and reduces risks off when facing external threats.